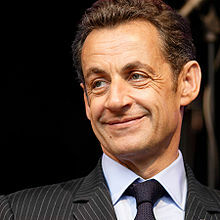 The Socialist Party took a strong lead in a first round of regional elections in France on Sunday and its main opposition the Union for a Popular Movement (UMP) party which is the governing party of President Nicolas Sarkozy is headed for a huge defeat. The election results, characterized with mass abstentions, was strongly favoring leftist candidates according to official results nearing completion. This has given the ruling right wing party a stern blow in the last nationwide election before the 2012 presidential elections. King Louis-Philippe of France created the French Foreign Legion as a unit of foreign volunteers because foreigners were forbidden to serve in the French Army after the 1830 July Revolution. The Legion was also seen as a convenient way to dispose of numerous recently-displaced foreign nationals (many of whom were thought to hold revolutionary political beliefs) by sending them to Algeria to fight in the French campaign of colonialization. The Foreign Legion has remained an important part of the French Army. A major storm system has swept through Spain, Portugal, and France over the weekend, killing more than 50 people, and leaving nearly a million without power. The storm system, named Xynthia, has moved from Portugal north through Spain and coastal France, and is expected to reach northern Europe, including Denmark, by Sunday evening. According to French prime minister Francois Fillon, at least 45 people have been killed in France alone, with around 60 injured. Additionally, three are dead in Spain, and one dead in each of Portugal, Belgium, and Germany. After being found guilty of treason by the National Convention, King Louis XVI was guillotined in front of a cheering crowd at the Place de la Révolution in Paris. He was the only king of France to be executed. On 15 January 1793, the Convention, composed of 721 deputies, voted out the verdict, which was a foregone conclusion – 693 voted guilty, and none voted for acquittal. The next day, a voting roll-call was carried out in order to decide upon the fate of the king, and the result was, for such a dramatic decision, uncomfortably close. France has asked the Paris Club of creditor nations to speed up the process of canceling Haiti’s debt, economy minister Christine Lagarde says she has contacted other members of the Paris Club to accelerate the cancellation of Haiti’s debt of nearly $78 million. Haiti did owe $84 million. 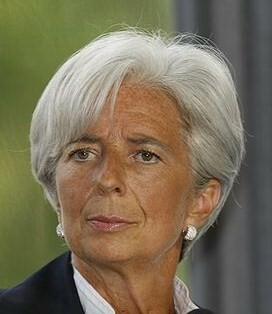 But Lagarde says about $6 million has been canceled since Tuesday’s devastating earthquake. France chairs the Paris Club, which in July agreed to cancel most of the debt owed by Haiti, the Western Hemisphere’s poorest country. In addition to France, the Paris Club includes Australia, Austria, Belgium, Canada, Denmark, Finland, Germany, Ireland, Italy, Japan, Netherlands, Norway, Russia, Spain, Sweden, Switzerland, United Kingdom and United States. The French Academy of Sciences announced the Daguerreotype photographic process, named after its inventor, French artist and chemist Louis Daguerre. The announcement of the daguerreotype process in 1839, along with William Fox Talbot’s in the same year, marks the date used as the invention of photography. Instead of Daguerre obtaining a French patent, the French government provided a pension for him.